What you need to know: The African baobab is an enormous tree that lives for thousands of years. It bears a gourd-like fruit that once opened, contains a fluffy white fruit that is dry and powdery. Its fruit contains many essential nutrients, including minerals and vitamin C. In fact, it contains six times as much vitamin C as oranges, and twice as much calcium as milk. As a result, it is commonly used to stave off illness such as the cold and flu, and for building strong bones and teeth. It also contains high levels of potassium and magnesium, making it the perfect electrolyte replacement, improving muscle function while supporting proper cardiovascular health. Why you should try it: The fruit of this “ancient tree of life” is becoming increasingly recognized for its high nutrient and polyphenol content. Studies reveal that polyphenols have the ability to not only protect the body from toxic exposure, but may even balance blood sugar while promoting satiety (the sense of fullness). Research has indicated that the addition of baobab into a meal can significantly reduce the rate at which sugar is released into the blood supply. As a result, baobab may be an ideal superfood to help in the prevention of metabolic syndrome and Type II diabetes. Let’s get together: With a taste that resembles a slightly tart pear, baobab can be enjoyed in smoothies, Pressed Juicery’s fresh Vanilla Almond Milk or even mixed into a glass of Coconut H20. It is more popularly and traditionally used in homemade porridge, which gave us the idea of blending it into our chia bowls. The result? A fresh new taste to enliven the monotonous nature of the breakfast meal. Our go-to is Baobab Superfruit Powder by Immunologic. Made without chemicals, preservatives or colors, this powder is not pasteurized, heat extracted, freeze dried or concentrated. No nutrients are lost, so all that is left is the raw whole-food powder. 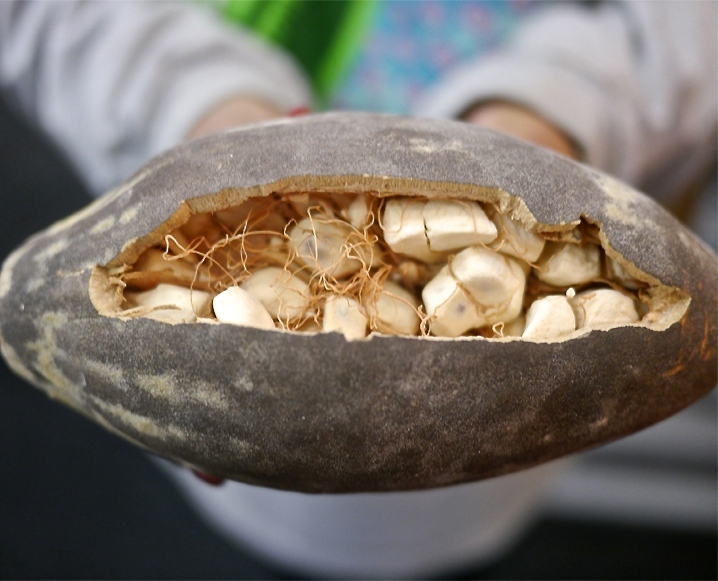 Share the post "Superfood Spotlight: Baobab Fruit"
This sounds FANTASTIC! Magnesium and calcium or both tooth nutritional needs for women to fulfill on a typical american diet. Thanks for the enlightenment. Let us know if you try it out, Robin – it’s a unique superfood for sure!